Recently, I was looking for fundraising inspiration – we needed some new equipment and the church’s budget was tight. I wanted an idea that would excite the supporters of my ministry but that donors would like too. After attending my son’s school’s spring fling, I found holiday inspiration. Today, our kids’ church Easter auction is the talk of the church, in a good way! Here’s how to host an Easter auction successfully. Ask for volunteers to donate Easter goodies. My closest friend loves making wreaths. She makes a few Easter egg wreaths and other craft goodies she comes up with. (She’s so creative!) I place a few large wicker baskets in my kids’ church to collect Easter toys, jewelry, coloring books and even Bibles. I start collecting a month in advance. Create flyers to advertise the Easter auction. I give clues about cool baskets and make sure people know why we hosting the Easter auction. Post updates on your social networking pages. I show pictures of the baskets. I reserve the largest basket for the silent auction. That way, people everywhere can bid on the basket. Set the baskets out on a decorated table. Place a descriptive sheet in front of each basket. This allows everyone to get a clue about the goodies inside. My kids create numbered paddles with posterboard and paint stirrers. Anyone participating in the auction must use the number paddles when they bid. I have a good auctioneer! He sets the tone and keeps the auction moving. We don’t start too low. Starting low makes it hard to get the auction bids up. We end the auction by collecting what we earned and by thanking everyone for their donations and purchases. I like giving away a few door prizes too! You don’t have to auction baskets but I find they are easy to assemble and seem to excite the bidders. These popular baskets make a big impact every year. The Easter Eye Opener: A bag of whole bean coffee, two Easter mugs, and a devotional book. The Easter Artist: Easter egg dyes, dye cups, stickers, egg trays, paint brushes and a smock. Great for kids! These are just a couple of ideas that I use but the options are endless. A fun auction is a great fundraiser! 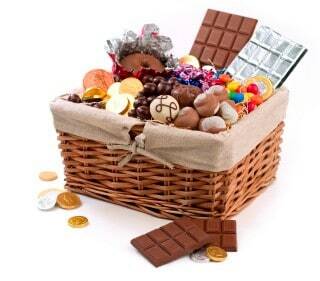 Host an Easter auction and raise funds for your children’s ministry. Read Mimi’s parable, The Young Boy and the Great Mountain or visit her blog, Encouragement for Christians.